Sometimes we get so caught up in the day to day stresses- work, relationships, chores- that it’s easy to get discouraged and lose sight of the bigger picture. 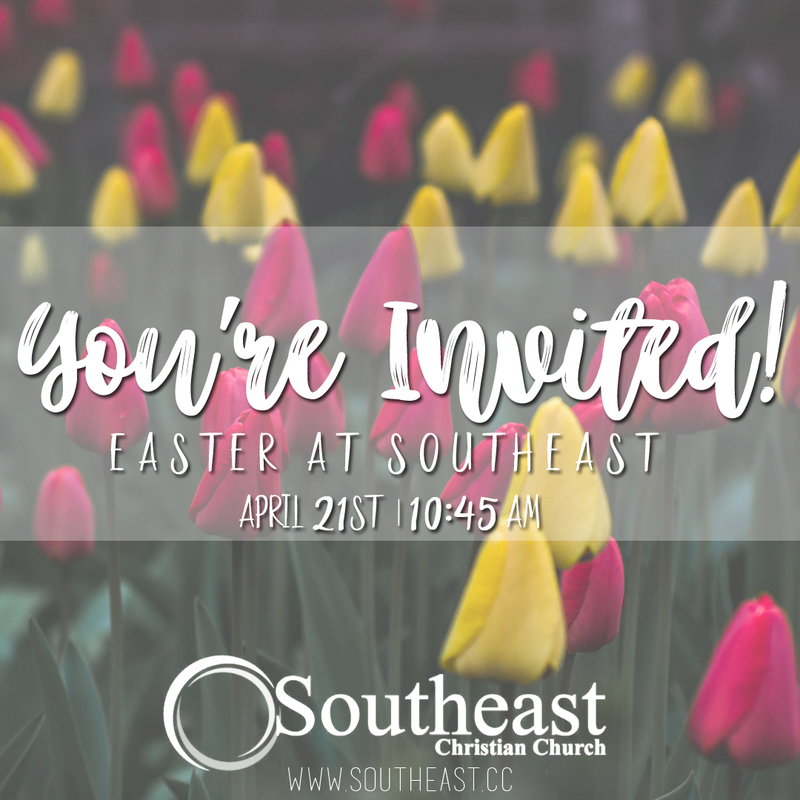 This Easter, come renew the spiritual side of your life at Southeast Christian Church. We think a little faith can infuse you with hope and bring other aspects of your life into focus. No matter what your previous spiritual experience, you’re welcome to start or restart your faith journey here! * There will be no bible study classes on April 21st. 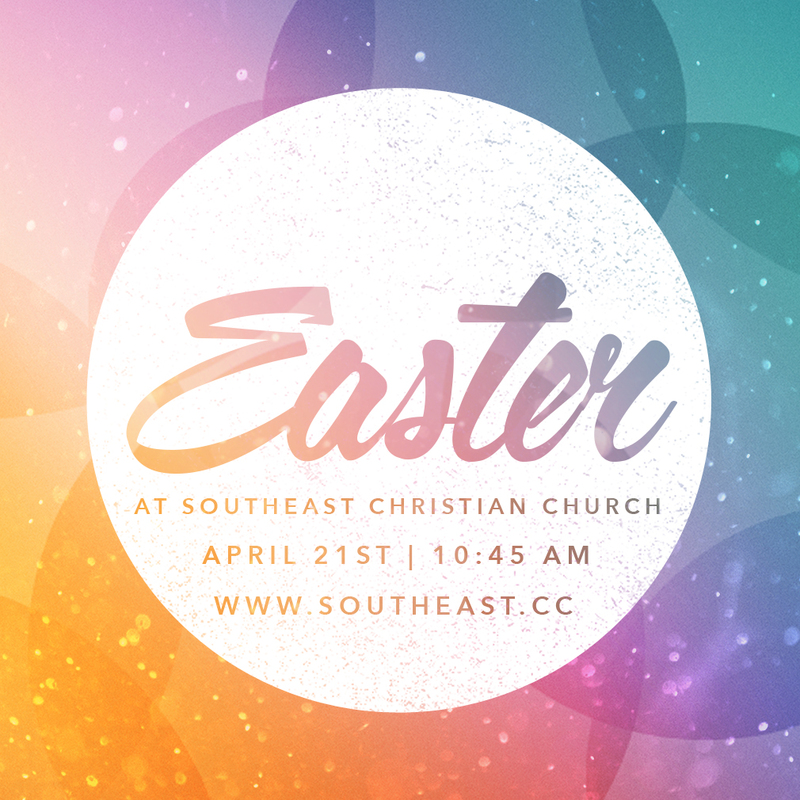 Please click on any of the Easter graphics above to share them with your friends!